Around 1988–1991 there was a weekly computer magazine in the UK called New Computer Express. This period coincided roughly with the time I was a freelance writer in the same field. For childish reasons now lost to time, a group of us freelancers had a major hate-on for NCE’s advice columnist. Writing under the name Uncle TechTip, this columnist seemed to answer most questions with something like “Hmm, I don’t know anything about _____. Maybe a reader can help?” Almost without fail, he’d have readers write in answers for next week’s issue. 15 PRINT " *** Uncle TechTip Simulator ***"
35 PRINT "Uncle TechTip's Answer: "
45 PRINT "Hmm, I don't know anything about"
50 PRINT " ";a$;" ..."
55 PRINT "Maybe a reader can help?" Withered Hand is one of my favourite artists. Today, I found out that one of his first EPs was for Paul Carter, my childhood friend who died in 2006. Paul’s artwork is on the cover. I’m not ashamed to say that I cried my eyes out when I heard Big Ten Four (Paul’s Song). Damn, this is a fine album. 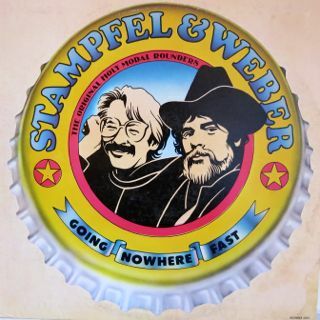 Credited as “Stampfel & Weber — The Original Holy Modal Rounders”, it’s a 1981 Rounder release that’ll probably never see the light as a digital release. And that’s a crying shame. It packs a lot of tracks into one album. All of them fun, with the off-kilterness that happens so magically when these two play together. You’ve got the right String Baby, but the wrong Yo-yo — as briefly featured on Laugh-In. My Name is Morgan but it ain’t J. P. —Steve Weber really has that parlour fingerpicking style nailed down. Goin’ to Memphis — Cash, murdered. Outstanding skreeky fiddle from Peter. Jeanine’s Dream —this is a lovely take on La Danseuse, with words by Antonia. I know that Peter’s been obsessed with this tune for decades. When the Iceworms nest again —supposedly traditionally Canadian. If You’ll be my Girl —dropped from their 1965(ish) album because it was original, this shows that S&W write some beautiful bubblegum pop. Lovin’ Mad Tom —Shakespeare via Antonia. Centuries old, still haunting us. Sea of Love — Steve’s voice is great for this sappy love song. Come to the Mardi Gras —as usual, Peter finds an old tune and makes it crazed. Philadelphia Lawyer —a Woody Guthrie tune played almost straight. Are You from Dixie? —even if I were, I’d deny it if faced with someone proclaiming it as dementedly as this. Smokey Joe’s Café —a slurfy, sloppy cover. Goodbye to Booze —This, along with Coldest Woman, was one of the two tracks from this album on I Make A Wish For A Potato, which got me into this whole Holy Modal Rounder mess in the first place. Junker’s Blues —an unapologetic heroin user’s song. Red Rooster —play this to clear the house. It sets the demented level up against the stops. 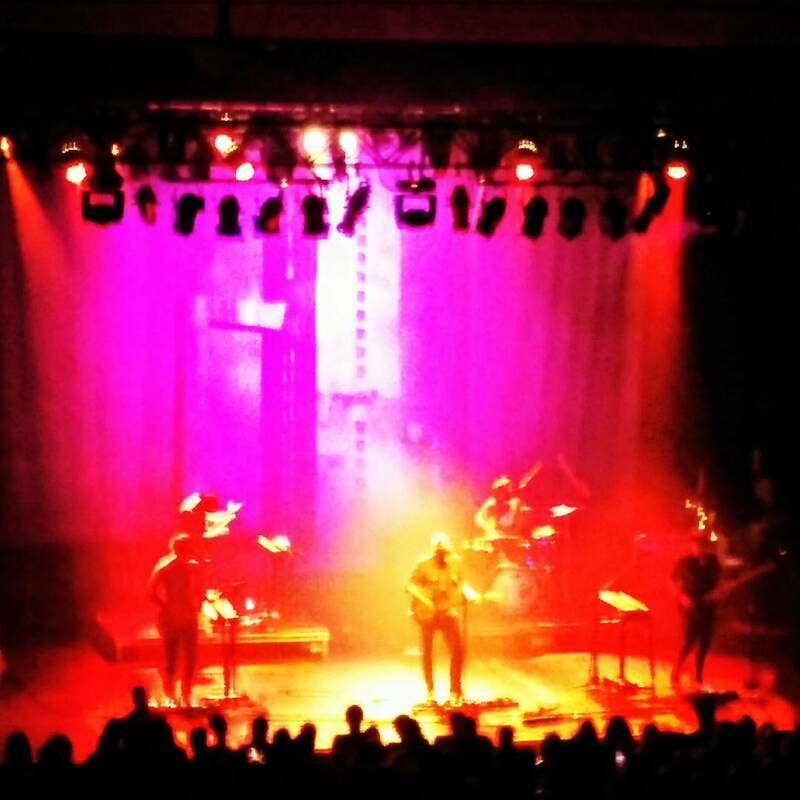 Coldest Woman —a daft little island tune with nicely swung guitar by Steve. Dance in Slow Motion —another sweet song with Peter singing. Unnamed Rag —The only words on this Weber tune are “Unnamed Rag” (if you don’t count the stalwart “vo-dee-oh-dee”-ing from Peter) because he hadn’t thought of a name for it. Songify has a lot to answer for: JohannG. If you don’t love this, you may be dead. Richard “Friendly Rich” Marsella noted that CBC Radio’s Vinyl Tap with Randy Bachman features a lot of music by … Randy Bachman. If you’ve got your own radio show “to play [your] favourite songs and tell stories from [your] life on the road and in the studio“, you might want to be a bunch heavier on your influences than your own actual work. It doesn’t seem that way with Randy Bachman, though. Bring back quality broadcasting from people behind the scenes who are hard-working and informed…not merely has-been rock stars with egos larger than Winnipeg. Given that Mr. Bachman constantly plays his own music on this show, receives royalties for the theme song, and might also be receiving ACTRA payments for incessantly wanking on his guitar between songs, CBC should consider whether or not this is a conflict of interest, as a public broadcaster. Richard’s started a petition: Let’s petition to remove Randy’s Vinyl Tap from the CBC: No more BTO on the CBC! I’ve signed it, and I hope you’ll consider signing it too. Unless you’ve been living under a rock, it’s a clip from Adele‘s Someone Like You. Sure, you can’t make out the words too well in the last one, but at least they don’t sound like some dire paen to Cthulhu, like the first two do. a shell script (see below) that encodes an MP3 1000 times, feeding the output of the last run as the input of the next. a sample clip; in this case, ganked from Amazon.com: 21: Adele: Music using Audio Hijack Pro. This is because LAME adds padding to the beginning and end of each song. All this padding adds up over 1000 runs. LAME can also decode MP3s, and remarkably, the lyrics remained discernable after 1000 interations (so go and see the third sample up top). Sure, it sounds scratchy, but the piano sounds like a piano and not like some underwater harp. LAME is clearly able to recognize its own input, and decode it accordingly. madplay, on the other hand, just treats an MP3 as a generic MP3, hence the over-compression and extra silences. So really, if you’re going to re-encode music, it matters more what you use to decode your MP3s. If you can use the same tool for both, all the better. 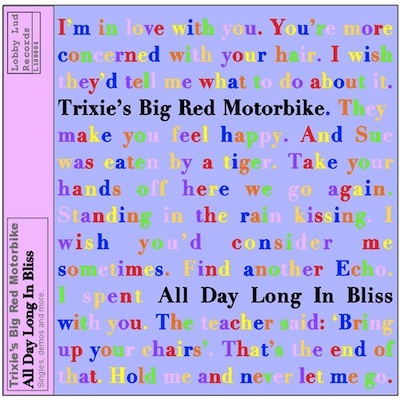 Call me a twee-hugger, but I love Trixie’s Big Red Motorbike. They sound like a brother and sister making up silly sweet songs and recording them on a shoebox tape recorder — which is (pretty much) what they were. Siblings Mark and Melanie Litten, along with some occasional help on backing vocals and saxophone, caught the ear of John Peel, and for a while they were the soundtrack of everyone’s anorak life. Mark recently scraped together everything of TBRM and so Lobby Lud Records lives again on Bandcamp. There’s not much else out there, except the John Peel Session. This is good. A New Way of Seeing was created by Richard Harvey for ICL for the launch of a new series of computers in 1979. Since it was only released to ICL dealers and their clients, it’s not widely known. 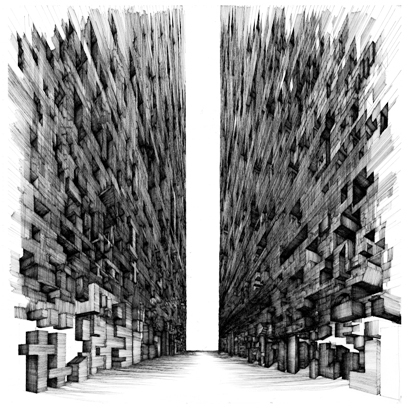 This is a shame, as it’s a delicious slice of electro-prog. So here it is: A New Way of Seeing – Richard Harvey (mp3). Quality’s not great, ‘cos the audio’s ganked from this YouTube video. Seeing as ICL is long gone, this is probably the best we’ll have to live with. Exhibit A: Flesh #1 (Beatle Dennis) [mp3] by Robyn Hitchcock. This version recorded in April 2009 Live at Cat’s Cradle. Originally on the Robyn Hitchcock & The Egyptians album “Globe of Frogs”, released 1988. Exhibit B: Is it Cold in Silverlake? [mp3] by Buddy (original dodgy mp3 harvester link here). Seemingly recorded in 2009.